At each Triennial International Convention, the student members elect two students to serve on the international Board of Trustees for the upcoming three-year period. Both student trustees then attend the annual board meetings during that triennium and participate actively in governing Pi Gamma Mu. Board membership is a sign of respect and accomplishment, particularly if it happens when one is still a student. The Pi Gamma Mu Shadow President was conceptualized for the 2008 Triennial International Convention--aptly named "A Political Party." Elected by the student delegates, the assignment for the Shadow President was to propose policy ideas and evaluate the initiatives of the current President of the United States in an occasional Newsletter column. In this issue: Public Lands, By Aaron Miller. 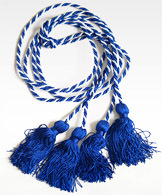 The blue and white cords can be worn at commencement, draped around your Pi Gamma Mu membership certificate on the wall, or you can be creative--but be sure to order yours! Pi Gamma Mu also sells t-shirts, polo shirts, coffee mugs, tote bags, bumper stickers and more. Merchandise sales help Pi Gamma Mu provide valuable services to its members such as scholarships, conventions, our professional journal, and more. Chapter annual report forms will be mailed to Chapter Sponsors in April. It is very important that all sponsors fill out and return this form to the international office by August 15. The form is available on our Website for those who would prefer to send it back electronically. We appreciate each Chapter Faculty Sponsor taking the few minutes to complete and return this report. At Pi Gamma Mu headquarters we are happily fulfilling orders for new membership credentials as the spring membership drive season continues. If you haven't started your chapter's spring membership drive, it's not too late! If you conducted a fall drive, would you consider conducting another drive this spring? It is the lifetime membership fees that allow us to serve our members and chapters through member-exclusive scholarships, lectureship grants, conventions, our peer-reviewed professional journal, and more and it is the Chapter Faculty Sponsors who make it all possible by recognizing well-deserving students with an invitation to join. Thank you for your hard work and continued support! 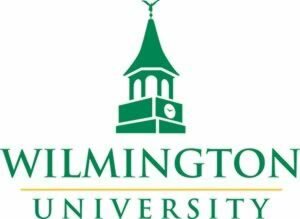 On a blustery Friday, March 2, 2018, Pi Gamma Mu Delaware Beta at Wilmington University inducted 49 new members into the Chapter. The combined Honor Societies Induction ceremony from the College of Social & Behavioral Sciences was celebrated with a luncheon as members from five other honor societies were also inducted. The induction was the culmination of an academic year of hard work and great service! 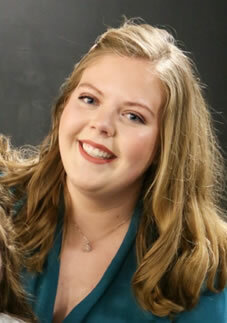 The faculty chapter sponsor of the Delaware Beta Chapter is Dr. Johanna Bishop, Director, Behavioral Science Programs. 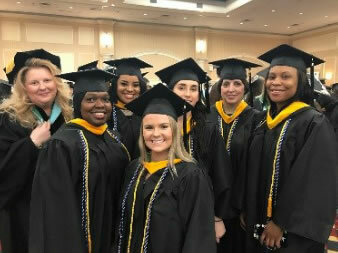 In addition to the 10 exclusive scholarships Pi Gamma Mu awards to Pi Gamma Mu members each year, the Society's partnership with the Association of College Honor Societies (ACHS) translates into additional opportunities for members of Pi Gamma Mu. Are you still deciding what to do this summer? It's not too late to maximize your time by spending 8 weeks in Washington, DC completing an internship, earning credit, and expanding your professional network. 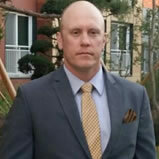 One inducted student member of Pi Gamma Mu may be awarded a merit-based $1000 scholarship for the program. Pi Gamma Mu's commitment to scholarship in the social sciences is manifested most tangibly through the publication of our peer-reviewed journal, the International Social Science Review. The journal publishes three times a year in the spring, fall, and winter. Each edition contains about four peer-reviewed articles. Each edition also contains about 15 book reviews, which are written by scholars and carefully polished for publication by the book-review editor and the editor-in-chief.